“Mom, I need you to take care of something for me.” was a chat message I got from my 10 year old daughter. This is rare. 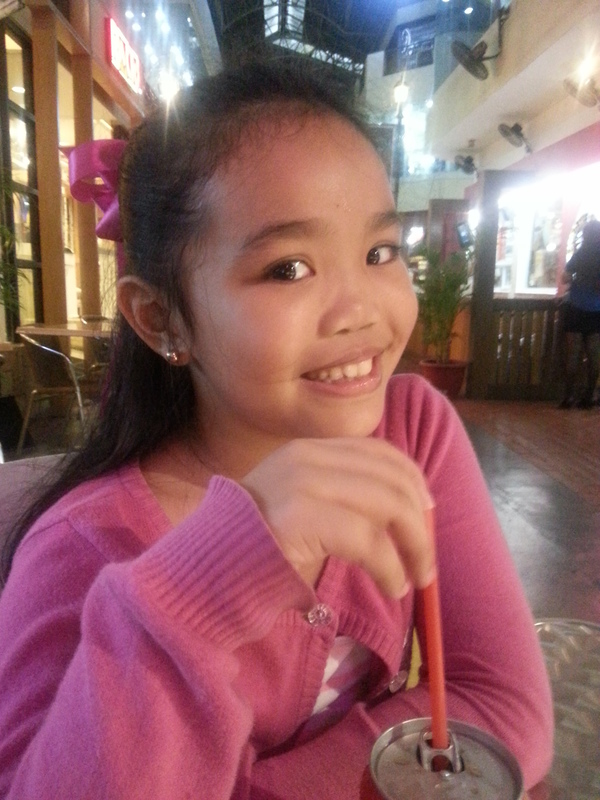 She’s a very independent girl and asks for help in schoolwork but will never full endorse something for me to handle. “There is nothing wrong with having dark skin color, luv. Mommy is dark too.” I say. My daughter is a morena. I love her skin color. She has a nice even caramel skin from top to bottom. Evenly baked caramel skin. It’s beautiful. She’s a friendly, funny, smart and polite girl with a beautiful smile. As a mother, this made me angry. Really angry. Momzilla from hell angry. My first instinct would be to run home and give her a hug but it wasn’t possible since I was still at my work area. It is upsetting to hear your daughter cry and even more upsetting to hear her angry. It broke my heart. The issue was not about skin color anymore. It’s was about bullying, labels, public humiliation and hurting the feelings of others. To be the bigger person and let it go. It’s okay to be angry and feel bad because what they did hurt. It hurt but what they said was not wrong or false, it was how it was said/ done. Don’t dwell and keep on thinking about what happened. I asked her to draw to keep her mind off it. I asked her if the teacher did anything and she said, yes. The teacher spoke to the group about how it’s wrong to label people and equality and made them apologize. It made her feel better but she was still feeling a bit raw. I’m thankful the teacher tried to manage it from her end. I gave my daughter a hug when I got home from work. Why is skin color discrimination so rampant here in the Philippines? It started in the Spanish period wherein there was a perception that the wealthier people were fair skinned Caucasians. The darker skinned Filipino was considered the working class, the poor. It’s 2014 and we are still segregated by skin color. People percieve the darker skinned as less attractive and there is still a perception that they are poorer. It’s sad. Growing up, I was teased and mocked about my skin color. I was athletic and was always under the sun. I was called negra, ulikba, indio, nognog (hard to translate all this but these were all labels to call a dark skinned person) not just by friends but also family. Just like my daughter, it hurt sometimes not because I was dark but because it was said maliciously and to mock. My mother called me Black Beauty because of my skin color and in hindsight, I hope she said it to make it feel better. I mean she compared me to a horse but still, I knew she had good intentions. Eventually, I realized I could outswim all of them in the pool so I stopped feeling bad about about my skin color and treated it as a badge of honor. The Filipinos obsession over fairer skin dominates sales and media. People use a range of products to be fairer. From the more organic papaya soap to scary Intravenous glutathione shots, to chemical skin peeling that really makes my skin crawl. Human skin is not meant to peel and drop off in huge slabs like shedding snakes, people! Does this make her less of an awesome and beautiful person? 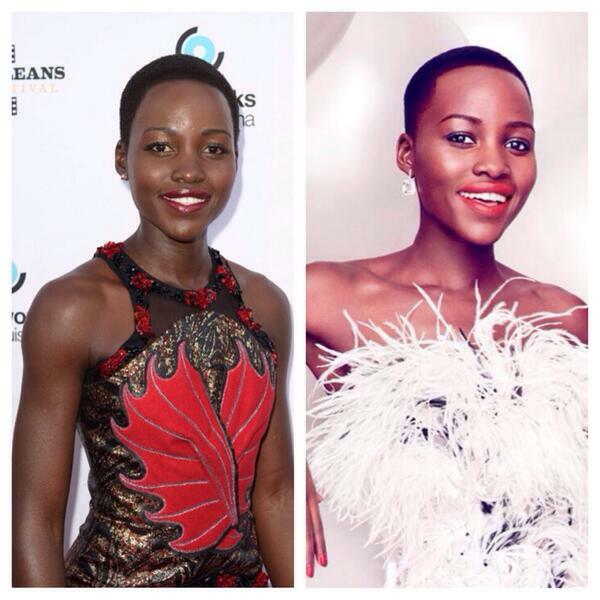 Yet, we can still be as ignorant about parity in terms of skin color and looks. 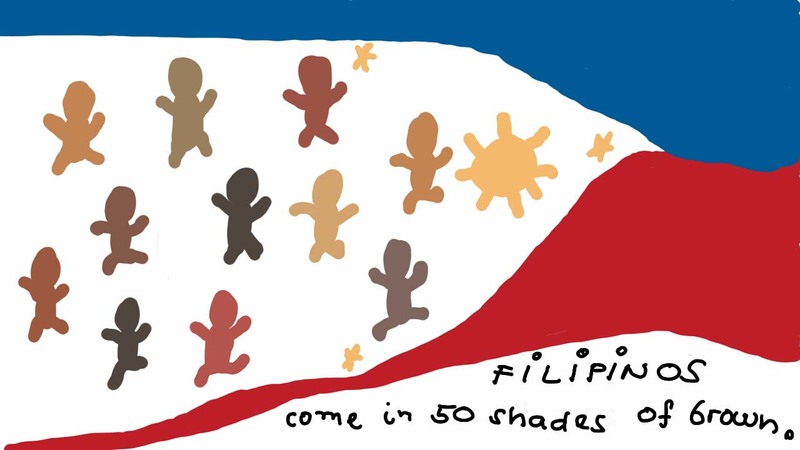 Yet we are too ignorant to see that Filipinos come in 50 shades of brown. That diversity is what makes us special. That mix of different races is what makes Filipinos beautiful. Sometimes these kids do not realize they do hurt people. They learn from school, their parents, nannies, media and even on the internet. They absorb data and learnings like sponges. They also have to be guided. Please observe how your children interact with others and the things they say sometimes. Ask them questions and opinions about things if you can’t be around all the time. Check out what they love, laugh at, their jokes as well. Be able to discern if your child has the tendency to bully. Observe and take off your mommy goggles* once in a while. *Mommy Goggles: Mom equivalent of rose tinted glasses; thinks and sees that her child can do no wrong. Reprimand when needed. Kids can be kids but these kids grow up to be adults as well. When will you expect them to learn? I was browsing WordPress blogs and this got my attention. Its somewhat sad that your daughter had to go through that. Its kind of funny how Filipinos (I’m Filipino myself so I am definitely qualified to talk about this) can be extremely, for lack of a better term, quite prejudiced based on skin color, height, features, etc. but the moment they become a ‘celebrity’ for one reason or another, all of a sudden, they jump on the fanboy bandwagon. I keep imagining someone like A.P.L. or Bruno Mars who if were left to grow in the Philippines would probably not be given a second glance by your average person there, but because they succeeded AWAY from the country, despite being Filipino, are treated like royalty. Anyway, I’ll stop, I could go on for days. I love your article because I can relate to this totally! I will be 48 in October but this thought of having a ‘brown skin’ still haunts me. Growing up , I was also bullied (I only realized it now) because I was not beautiful enough for having a brown skin. I could still remember how my second degree uncle called me Diana Ross, that time I didn’t know who this person was. Little did I know that she is a famous black artist in United States, sings very well and so talented. How could someone compared me to a black woman? If I knew this person when I was younger, I would have probably be more affected and would grow up to have more inferiority complex. With this notion of having a brown skin, I grew up a tough kid defending myself. What I meant by tough is that, I needed to show people that I was strong and courageous. No one told me that I was beautiful, likeable, talented, etc. Those motivational factors are necessary to a growing child but unfortunately, I never heard I was good enough to be successful in life. So, it never occurred to me that I would marry someday because I knew no one would want a brown skin, right? That was what I heard over and over again. To make a long story short, I was healed of this wrong perception about myself when I was about to get married. The wife of the pastor who was going to officiate the marriage had counseled me and asked me what was the thing I held on my past. I said that I was not beautiful and not good enough (not mentioning having a brown skin which I never liked). And that time, almost 10 years ago in June 2014, I have had successfully managed to work in various large institutions, so I can call those great accomplishments but it never dawned on me that I was good enough. The pastor’s wife then told me to close my eyes and say that ‘I am beautiful’! Say it over and over again. Letting me know also that “I am a child of God”, John 1:12, and I bursted into tears. From then on I was totally healed. Now, I live in the US with a wonderful, loving, caring, sweet and God fearing husband, I can’t thank God enough. My husband loves my brown smooth skin that does not need any tanning lotion or razors ha ha. Just sharing my little story. Your child is beautiful in the eyes of God, we all are. We should not be bothered by what others will tell us. Thank you for your nice piece. God bless! I do that with my daughter too..say I am beautiful..I never want her thinking that she isn’t. She’s a very confident child which made me even feel worse because they must have really embarrassed her. I hope people continue to advocate being proud of our beautiful brown color. We need more people to be proud of it instead of be ashamed of it and shaming other people. Thank you for your comment. :) I’ll let her read it. It seems in other countries, they are more accepting. It’s sad that we have this form of discrimination in our own country of brown people. Moms, one of the best things you can do for your daughters is to be proud of your body. And say so. Skin color is only part of it. You may be 50 pounds over your ideal weight. You may, like most people, feel that some part of you is not satisfactory, you eyes, your thighs, your teeth, your feet. These are not faults, they are part of what makes us all unique. It’s not easy for many of us to accept but we are all beautiful. Work on it if you have to but you need to believe it so you can teach your daughters that they are beautiful just as they are. Because you are. And they are.